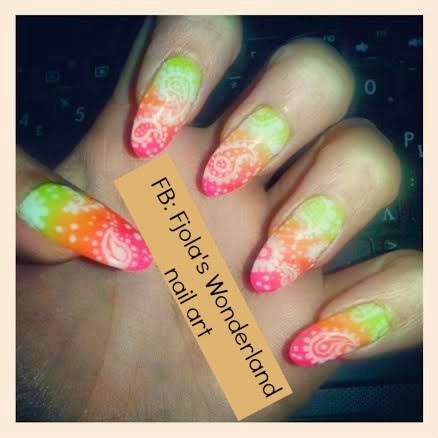 Here im gonna show my neon ombre paisley nails design,inspired by @Wahnails . 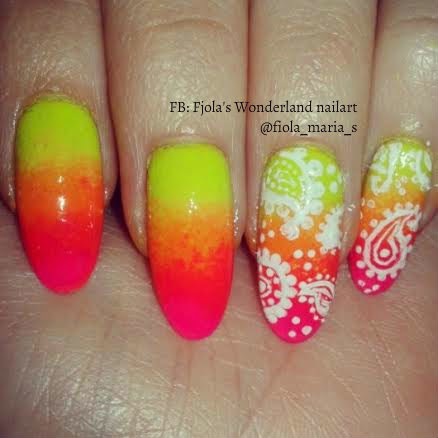 For my gradient effect I used neon light green polish, orange and fuschia as a base before my paisley design. And to great the paisley nails I used essie white blanco nail polish. I finshed my look using two hands of top coat,because I wanted my nails to be really glowing. hope you like them ...below I ahve the tutorials that was my guide for this look.